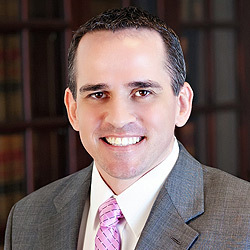 Kyle is a senior attorney in Cooper & Scully’s Dallas office. Kyle focuses his practice on all aspects of appellate law. His practice includes extensive researching and briefing on substantive and procedural issues for appeals and original proceedings before the Texas Supreme Court and Texas intermediate courts of appeals, as well as presentation of and assistance with oral argument. Much of his work has involved defense of physicians and other health care providers, and in recent years his appellate work has positively shaped Texas medical malpractice jurisprudence regarding the scope of Chapter 74 and ensuring dismissal of non-meritorious claims. Kyle also assists with preparation of amicus briefs on important issues pending before the Texas Supreme Court and Texas intermediate courts of appeals. His amicus briefing in Brookshire Bros., Ltd. v. Aldridge, 438 S.W.3d 9 (Tex. 2014) helped rewrite Texas law on spoliation. 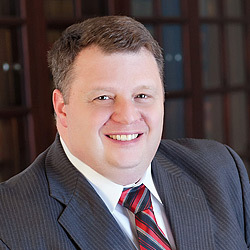 Kyle also provides review of the trial record for potential error and bases for appeal, and assists with research, preparation, and argument of various pre-trial, trial, and post-trial motions. Prior to law school, Kyle’s love of the outdoors led him to studying and achieving degrees in wildlife ecology and biology. He then enjoyed a career as a wildlife biologist with Texas Parks and Wildlife Department, researching wildlife in East Texas, formulating state and county regulations, and assisting landowners in achieving their management goals. While Kyle’s career has changed, his love for the outdoors has not, and in his spare time he enjoys hunting, fishing, and the shooting sports. Gilbane Building – Further Clarification?, R. Brent Cooper & Kyle Burke, Cooper & Scully Webinar, Feb. 2, 2012. Burden of Proof, R. Brent Cooper & Kyle Burke, University of Texas School of Law 16th Annual Insurance Law Institute, Nov. 3-4, 2011. If it Ain’t Broke . . ., The National Mediation Board’s Rule Proposal for Representation Elections; Kyle Burke, Comment, 75 J. AIR L. & COM. 669 (2010).